Inauguration Days – every day's a holiday! In the grand saga of the Russian Empire, Russia Day is a relatively new holiday, eagerly burrowing into the Russian consciousness to create roots and establish traditions. In the early 1990’s it was known as “Russian Independence Day”. June 12th marks the day in 1990 that the Congress of People’s Deputies of the Soviet Russian Republic declared independence from the Soviet Union. The irony that Russia declared independence from an entity to which it was virtually synonymous in the eyes of the world was not lost on the Russians. So in 1994, the holiday name was changed to “Day of the Declaration of the Sovereignty of the Russian Federation” for clarification, which was ultimately more confusing than the first name. Finally, in an uncharacteristic Russian push for brevity, Vladimir Putin shortened it to Russia Day in 2002, and the name has stuck. One Russia Day tradition is the handing out of the “Russia Medals” for achievements in science and culture. But the rituals that seem to have made the biggest headway are sports and racing. Marathons, drag races and motorcycle stunt competitions will bring Moscow traffic to a stop today. Several running and motoring races take place today, including the final leg of the 1,151 kilometer “Golden Ring” race which finishes up just outside the Kremlin, and the “drifting” contests where drivers basically treat their cars like big roller skates. The weekend also hosts the “Call of Russia” Tournament, the Independence Cup, and the Moscow Sailing Cup. 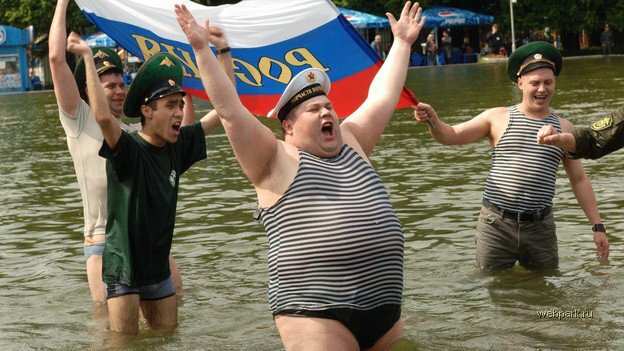 In general though, the populace has yet to rally around June 12th as a symbol of what it means to be Russian. But I love Russia Day if, for nothing else, it gives me an excuse to post one of my favorite pictures. 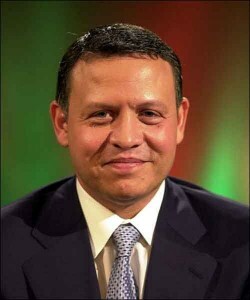 King Abdullah II studied in England and the United States as well as Jordan. In fact he recently established King’s Academy in Jordan in the spirit of his alma mater, Massachusetts’ Deerfield Academy, even hiring the boarding school’s headmaster to lead it. He served in several capacities in the Jordanian military, including as Commander of Special Operations, and had attained the rank of Major General when he assumed responsibilities as monarch. Jordan’s geography and history places it in a unique place in Middle Eastern and Western diplomacy. Like his predecessor, King Abdullah has played a key role in the Palestinian-Israeli relations. In a recent speech commemorating the dual anniversaries of the Great Arab Revolt (Army Day) and his 1999 inauguration, the King responded to military personnel who criticized naturalization of Palestinians for fear doing so could weaken plans for a Palestinian state. The West Bank was part of Jordan until the Six Day War in 1967. Over half of Jordan’s population are of Palestinian extraction, including the King’s wife, Queen Rania, who was born in Kuwait to Palestinian parents. The King’s mother is Princess Muna al-Hussein, born Antoinette Gardiner in Suffolk, England. She met King Hussein on the set of Lawrence of Arabia and converted to Islam; the two were married from 1961 to 1971 and had four children.